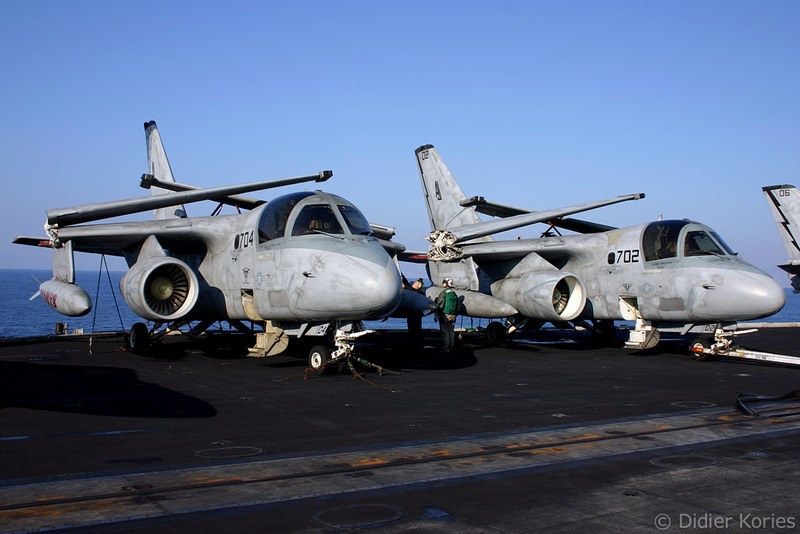 After a three-month wait the dream finally came true. 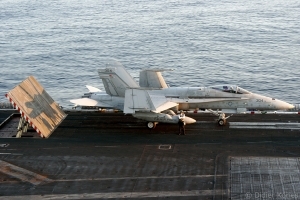 A message in my mailbox from Lt Sevicello, Public Affairs Officer of the US VI Fleet, informed me that I was granted permission to visit the aircraft carrier USS Theodore Roosevelt in the Aegean Sea. 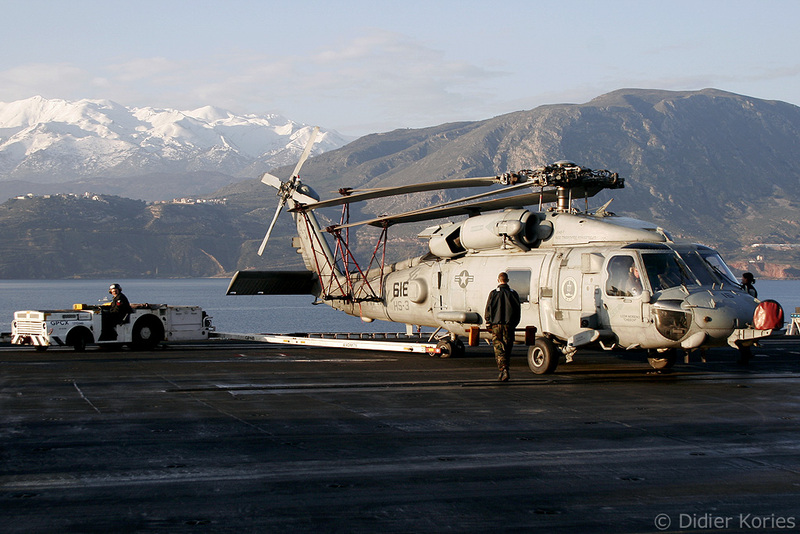 This was on Thursday 16 February and I had to be in Marmaris, Turkey on Monday 20 February at 20h00. 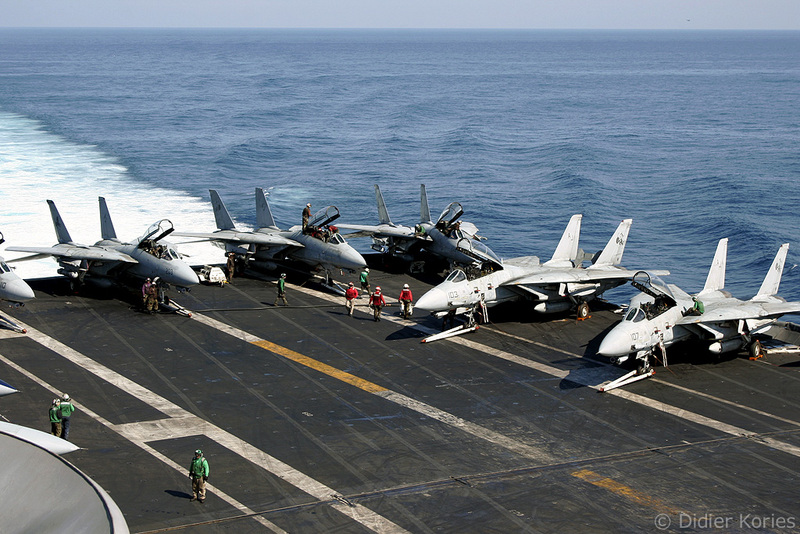 This left me only a few days to organise the trip to Turkey. 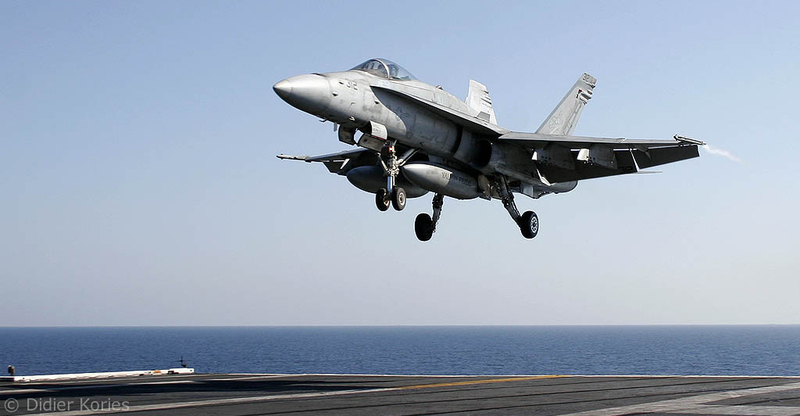 First task was to book the flight to Dalaman, which is the closest airport to Marmaris, situated on the southern coast of Turkey. 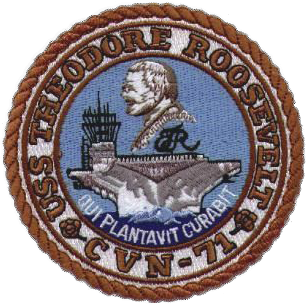 The return flight had to leave from Chania, on the island of Crete as I would sail aboard the Roosevelt from Turkey to Crete, one day and two nights at sea. 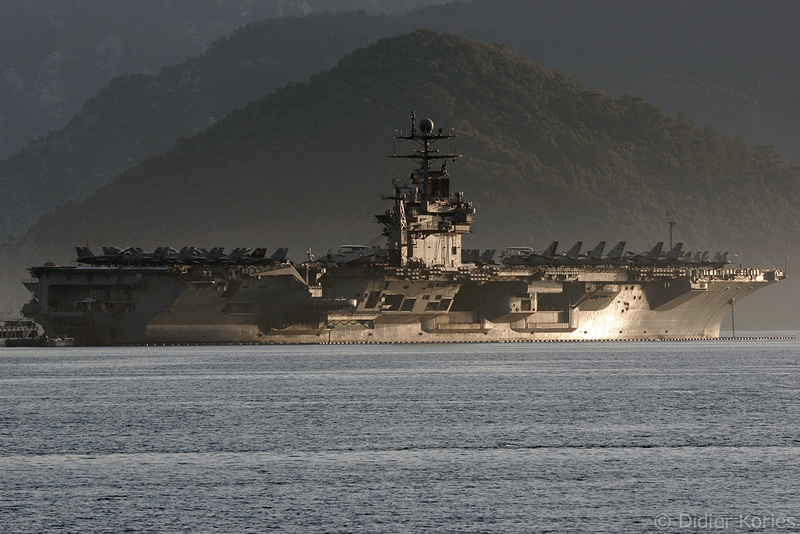 I arrived in Marmaris late in the evening of Sunday and when I came out of the hotel the next morning I was pleased with the wonderful sight of the USS Theodore Roosevelt (CVN-71), moored in the bay of Marmaris. 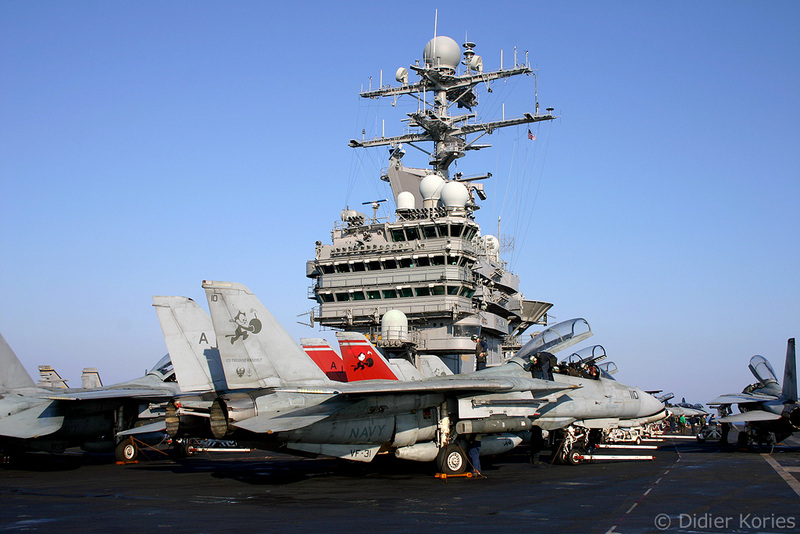 After a warm welcome that evening by Lt William Kuebler, PAO of the Roosevelt, ten lucky photographers and myself boarded the carrier where 5.700 sailors (among whom 16 % are women) live and work every day. 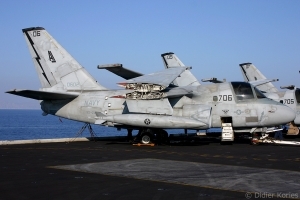 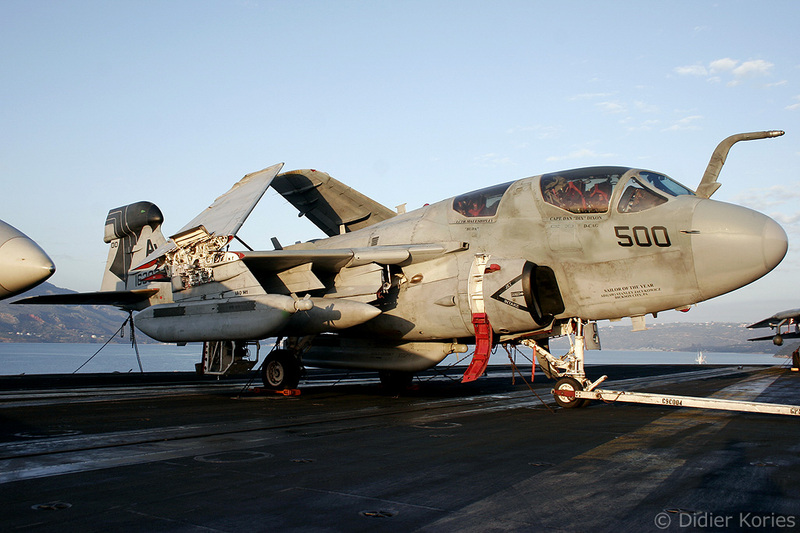 During this cruise, CVW-8 took part in Operation Iraqi Freedom and Operation Enduring Freedom, and conducted maritime operations in the Persian Gulf and in the surrounding waters from the end of September 2005 till mid February 2006. 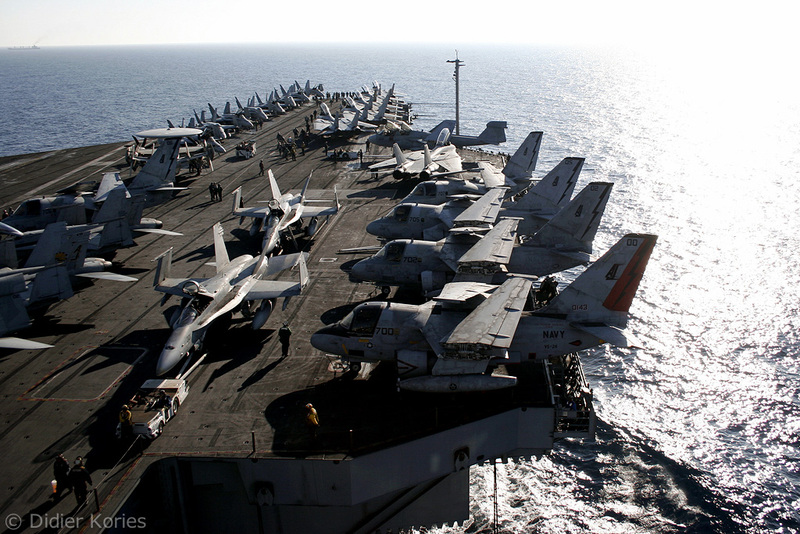 The carrier left the area and entered the Mediterranean Sea on 15 February. 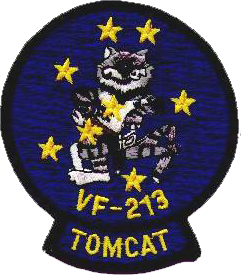 21 February is THE day. 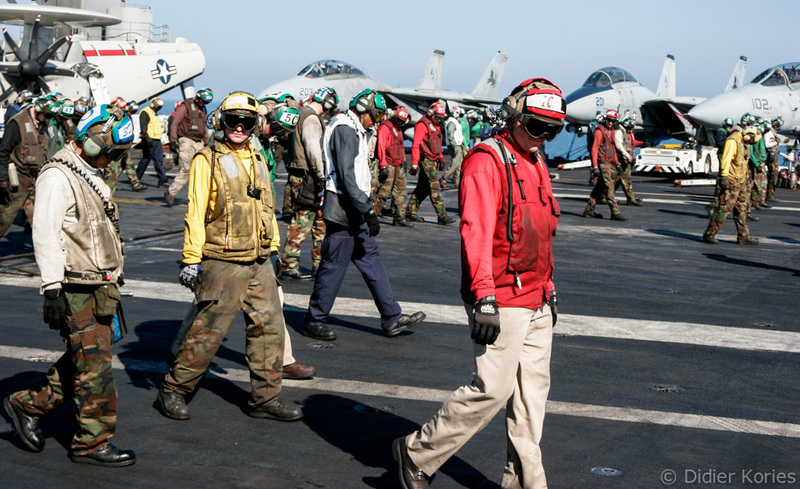 After a good breakfast and a safety briefing by Lt Justin Cole, the Assistant PAO of the Roosevelt we climb on the flight deck. 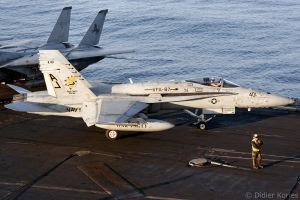 I can only say that it is HUGE. 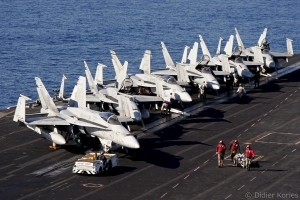 Length: 333 metres (1.092 ft), width: 78,3 metres (257 ft), area 18.211 square metres (4,5 acres). 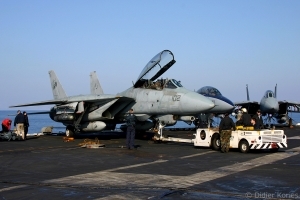 Business has already started : aircraft are readied for flights – 19 take-offs are scheduled – and catapults and arrestor cables are tested to ensure they work properly. 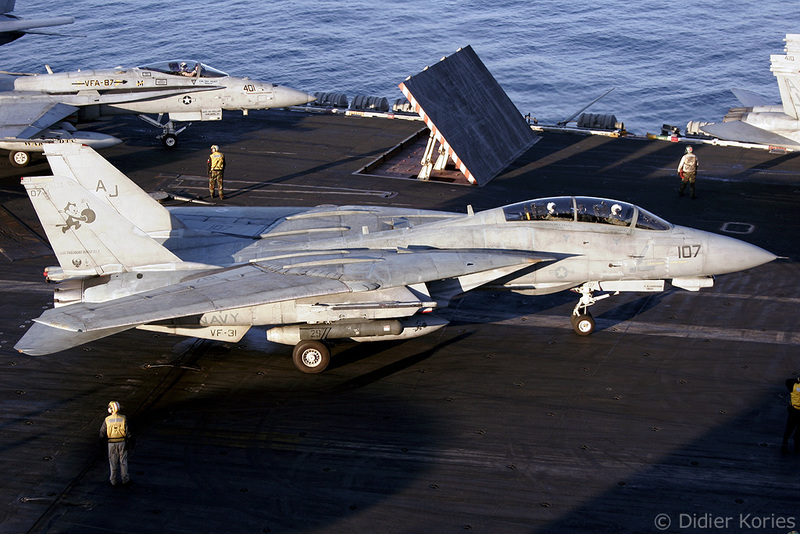 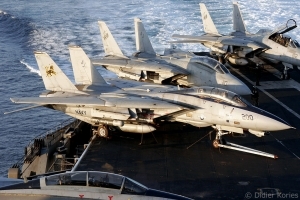 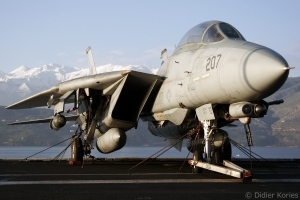 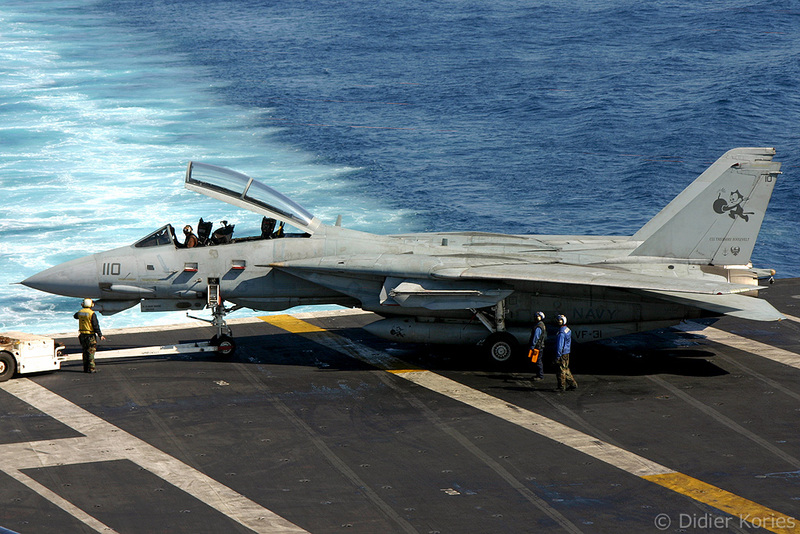 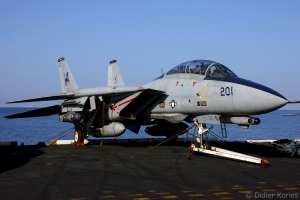 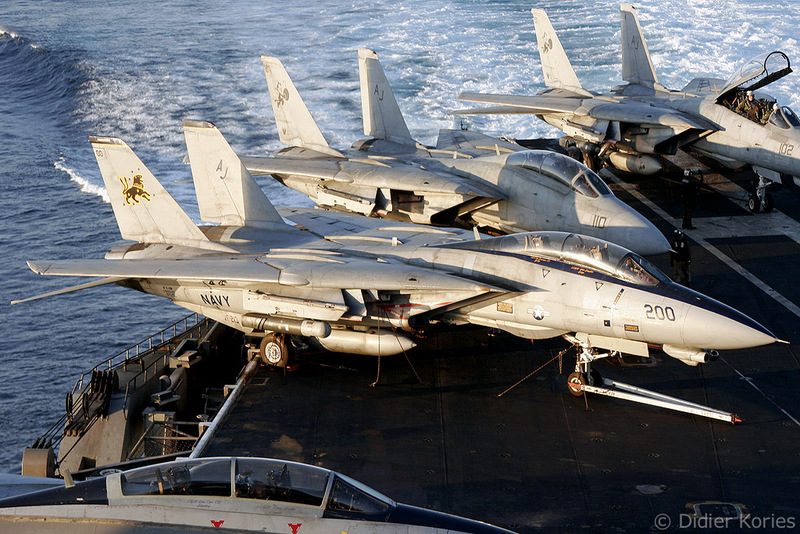 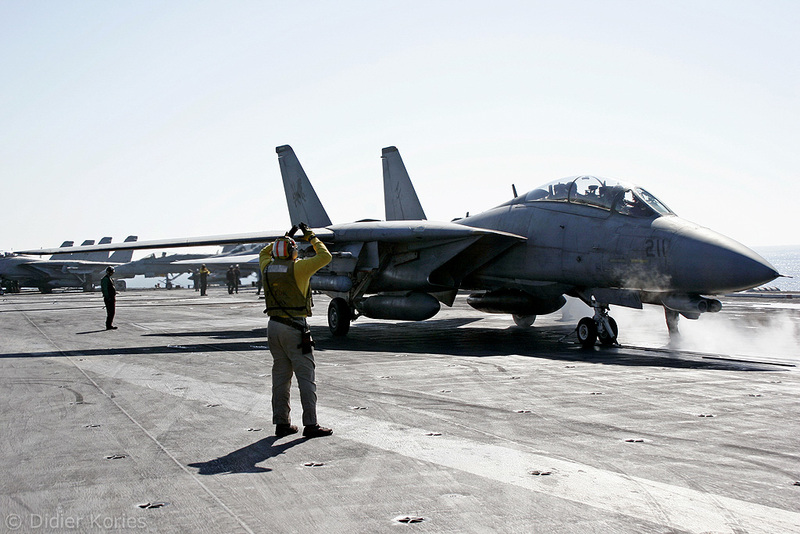 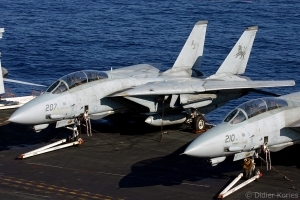 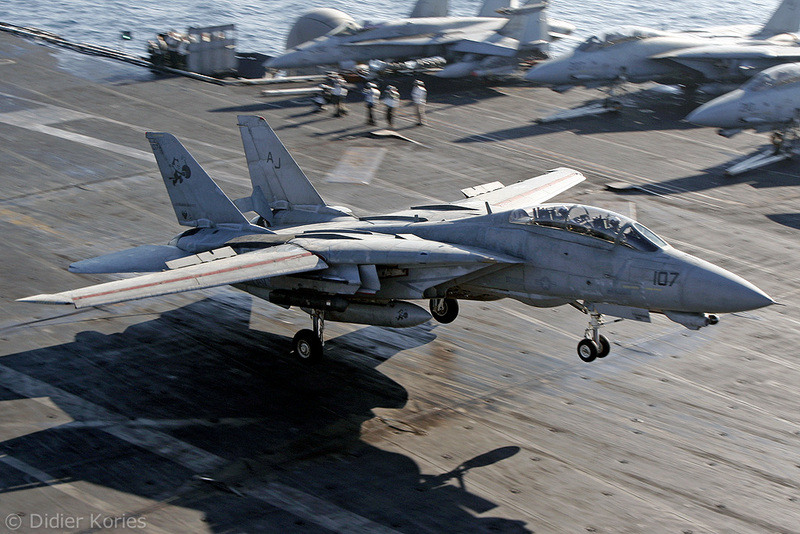 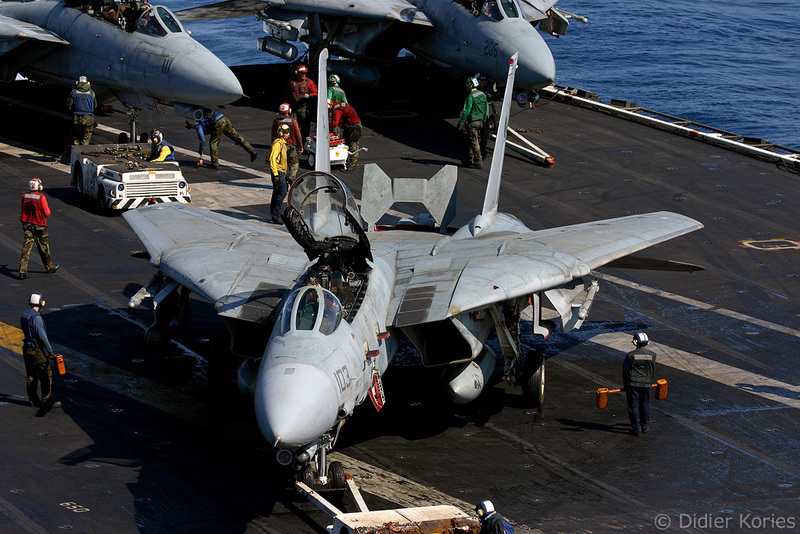 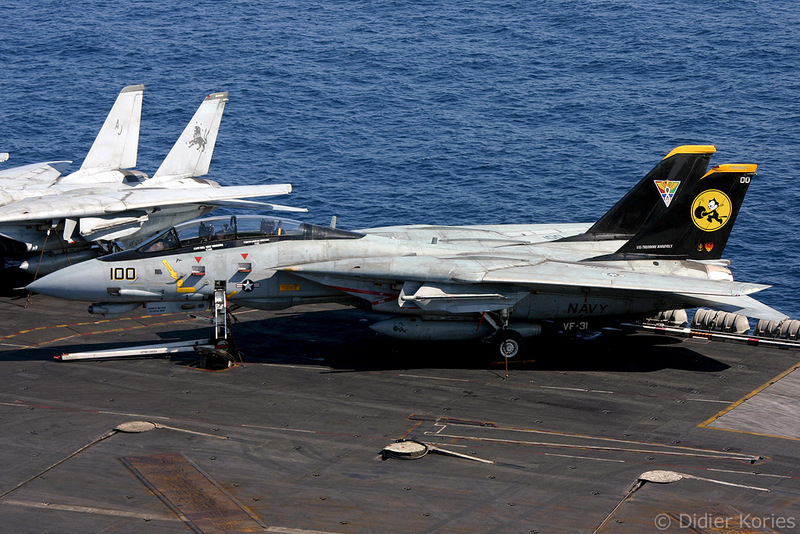 Adorned with a white jersey, a helmet and protective goggles, I take advantage of that “quietness” to photograph the aircraft on deck with a particular attention to the F-14 Tomcats. 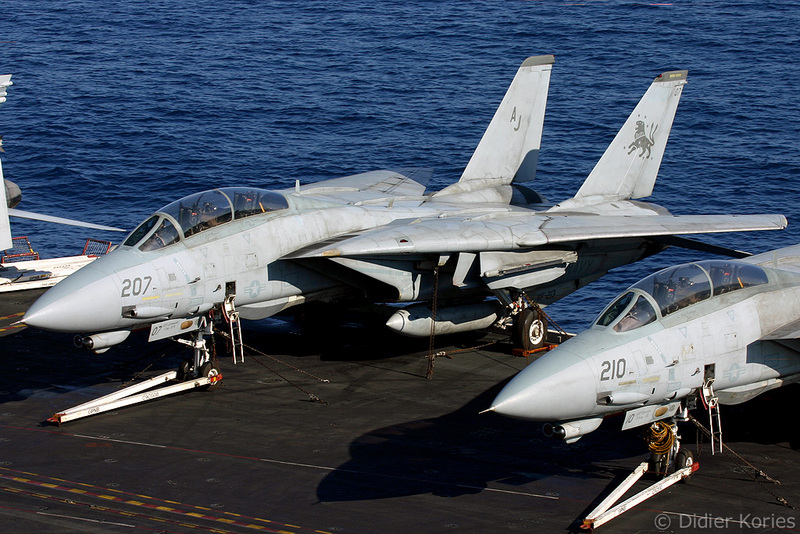 They will perform their last operational flights today. 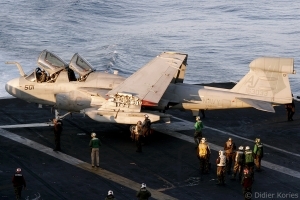 Designed to replace the F-4 Phantom in the air-to-air role, the prototype of the Grumman F-14 took to the air for the first time on 21 December 1970 with company test pilots Robert Smythe and William Miller in the cockpit. 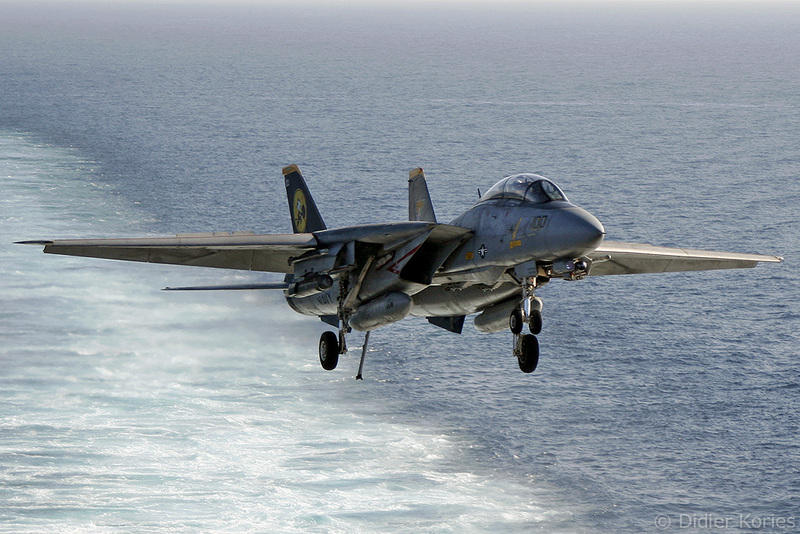 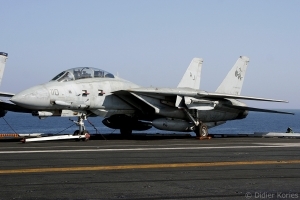 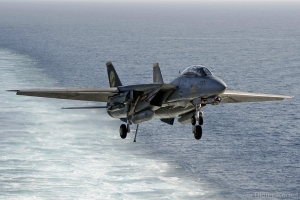 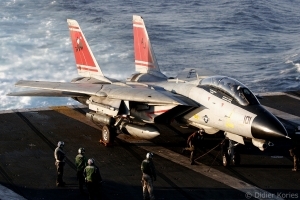 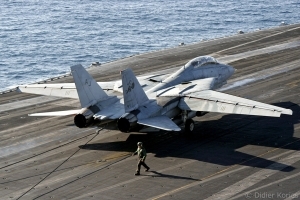 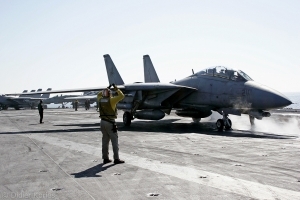 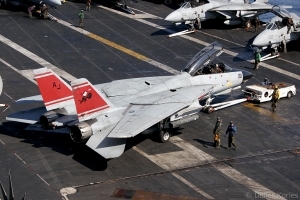 The first unit to receive the aircraft was VF-124, the Fleet Readiness Squadron based at NAS Miramar, California and formed to train the future Tomcat crews. 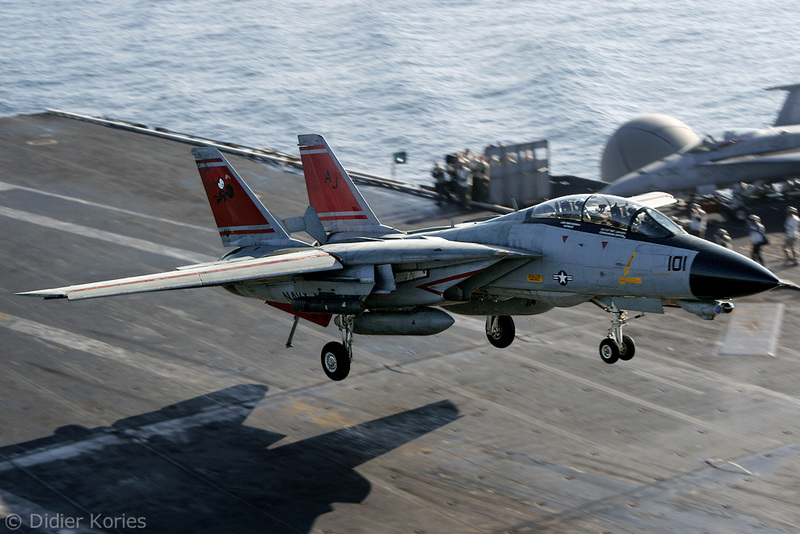 Since then, a total of 37 squadrons flew the Tomcat, either the A, A+ (later designated B) or D versions. 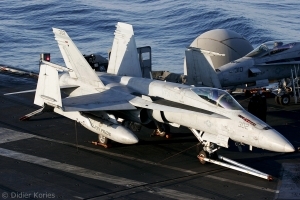 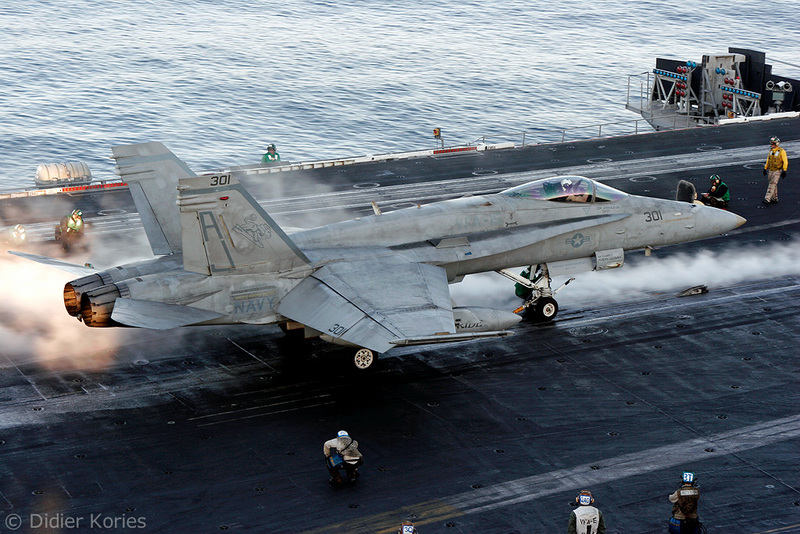 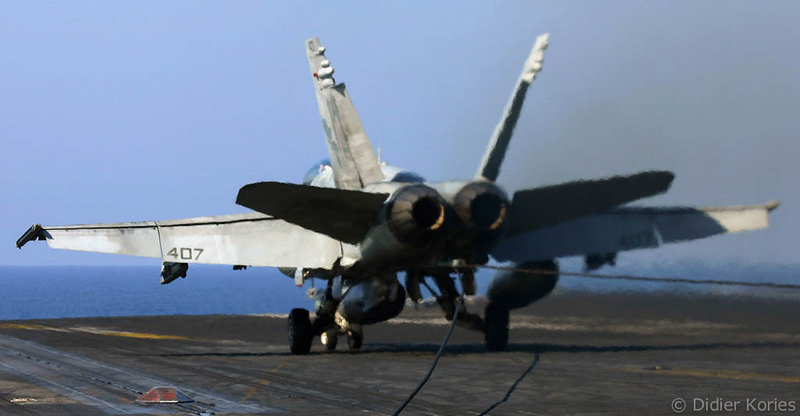 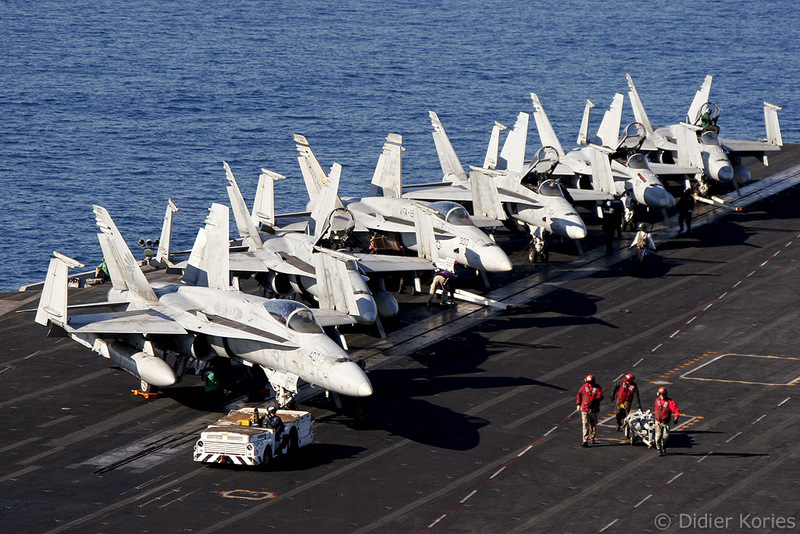 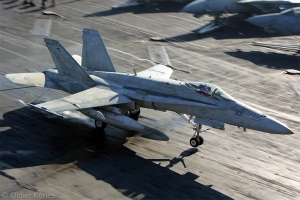 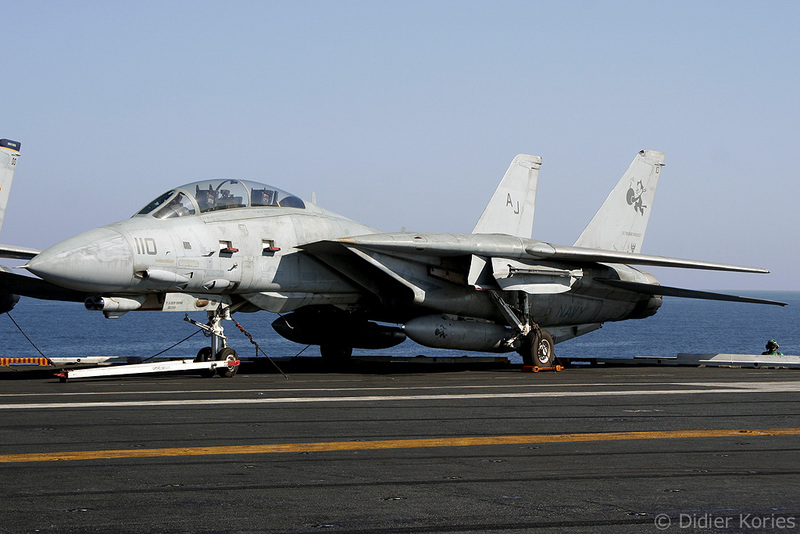 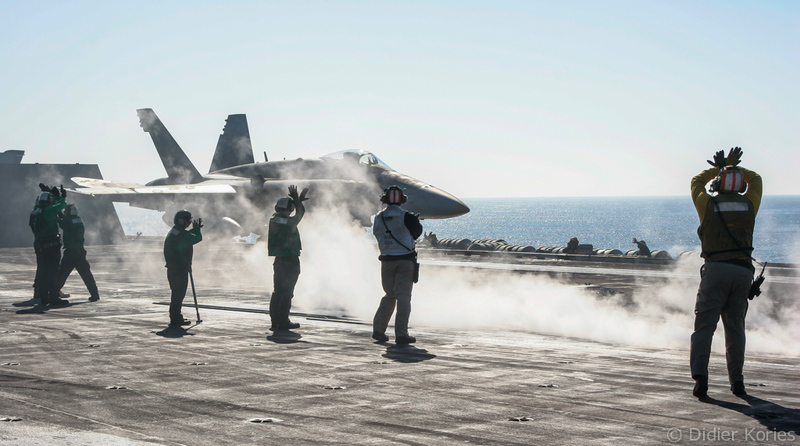 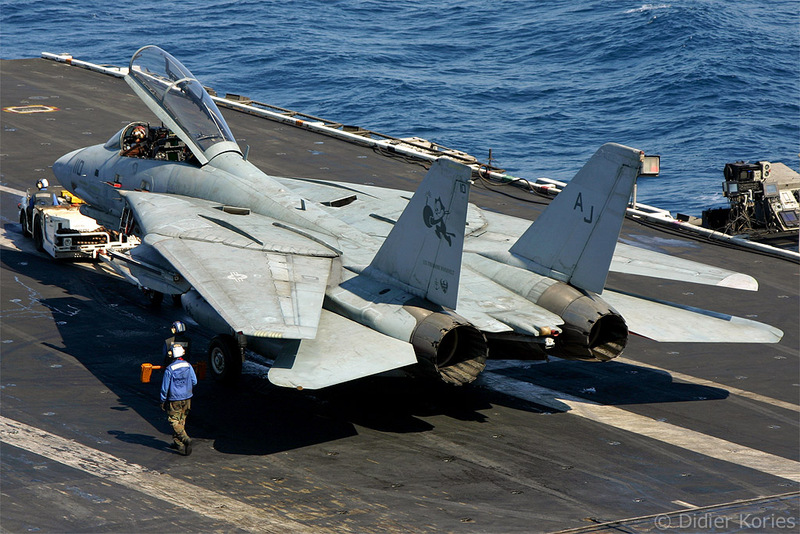 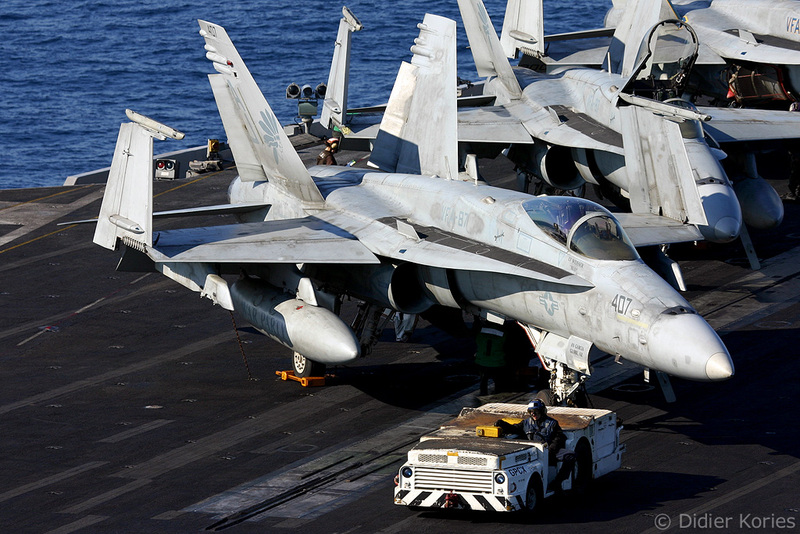 Today, most of the units have been disbanded or have converted to the F/A-18E/F Super Hornet. The last two squadrons to fly the F-14D, equipped with digital avionics, an AN/APG-71 radar and General Electric F-110-GE-400 engines, are VF-31 “Tomcatters” and VF-213 “Black Lions”. VF-31 came back to NAS Oceana, Virginia from its last Tomcat cruise on 10 March 2006 and will fly the F-14 until September 2006. 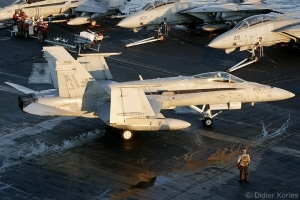 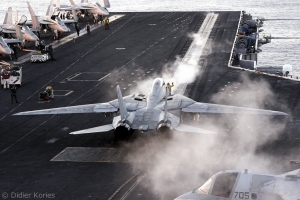 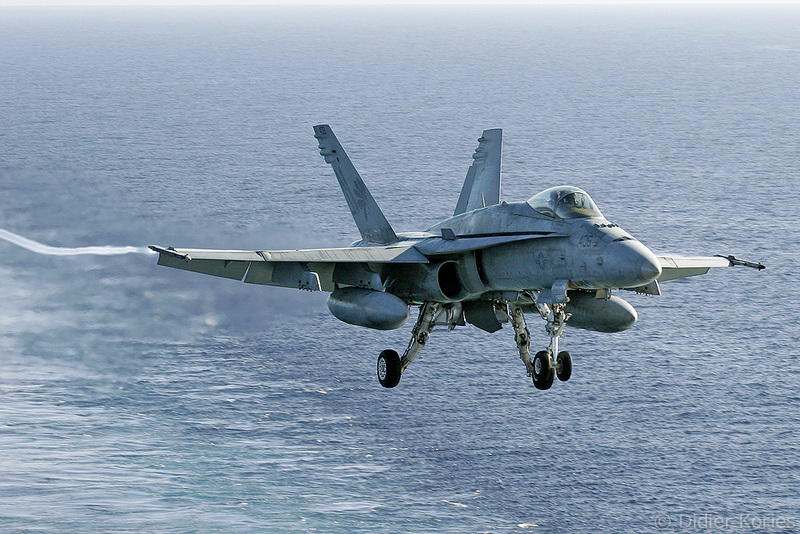 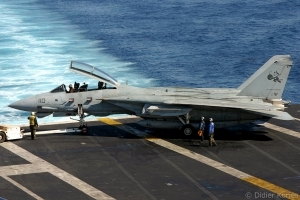 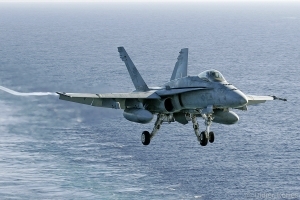 It will then convert to the F/A-18E Super Hornet. 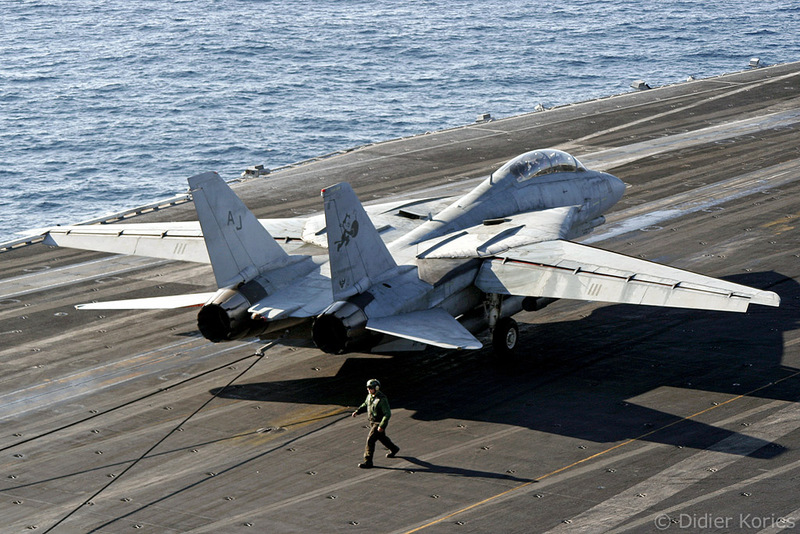 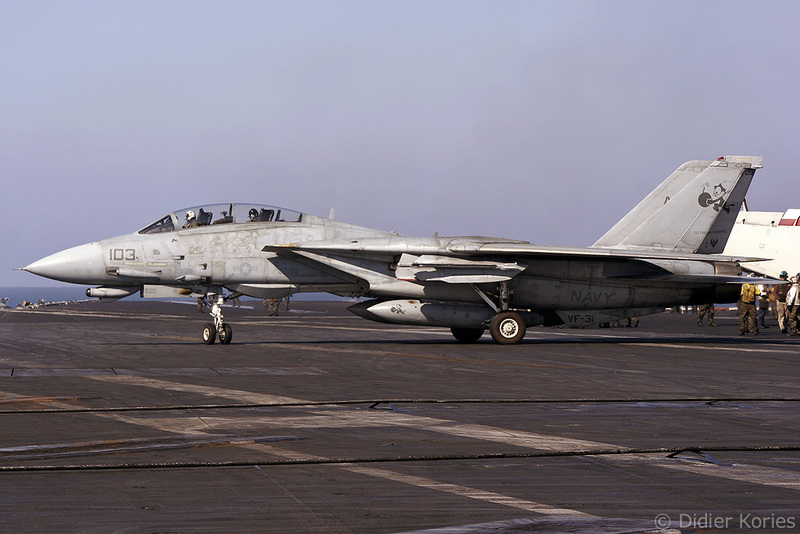 Capt William Sizemore, commander of CVW-8, completed the last F-14 combat mission on 8 February 2006 in a VF-213 Tomcat. 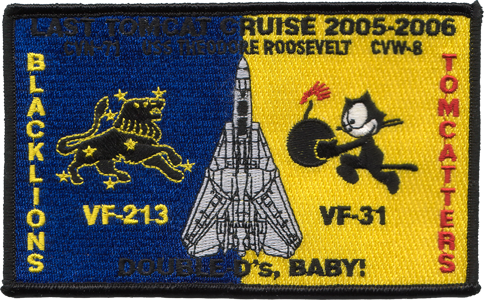 During their final deployment with the Roosevelt, VF-31 and VF-213 collectively completed 1.163 combat sorties totaling 6.876 flight hours, and dropped 9.500 pounds of ordnance during reconnaissance, surveillance, and close air support missions in support of Operation Iraqi Freedom. Like VF-31, the Black Lions of VF-213 returned to NAS Oceana in March 2006. 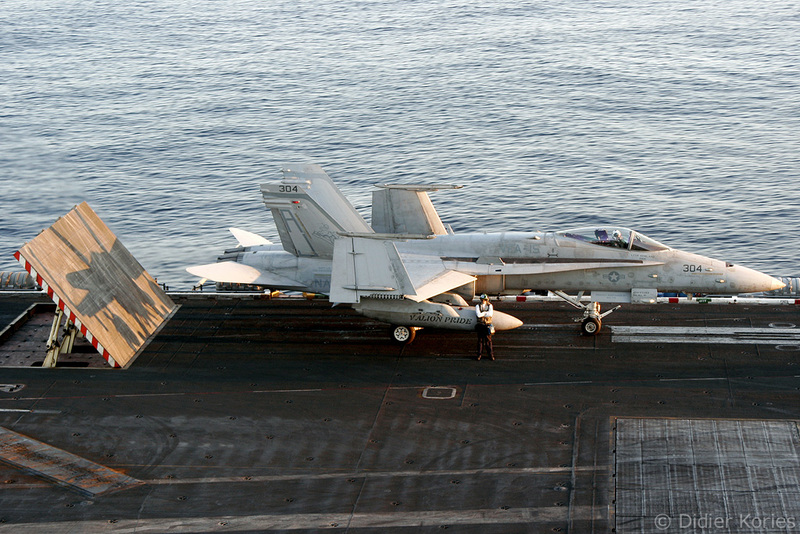 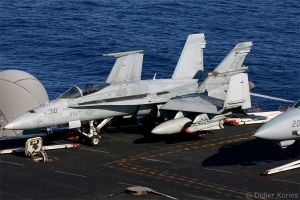 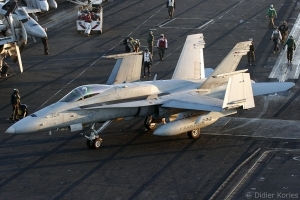 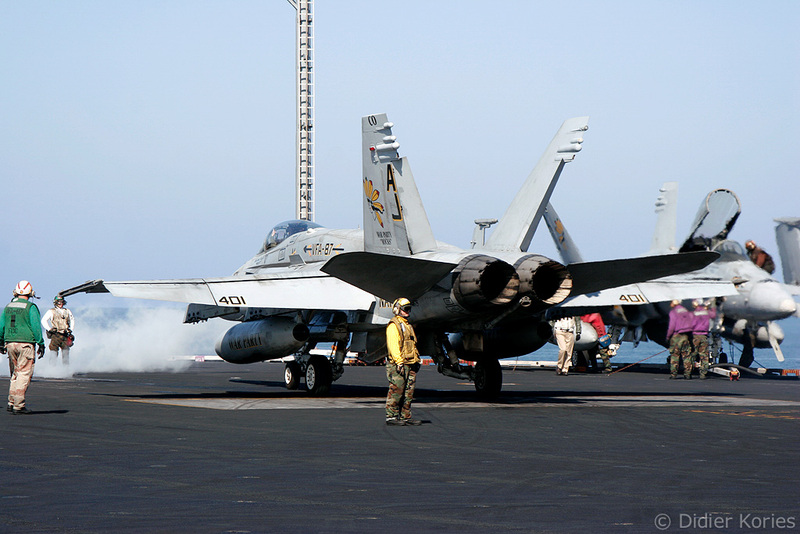 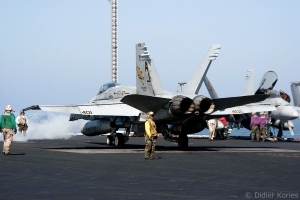 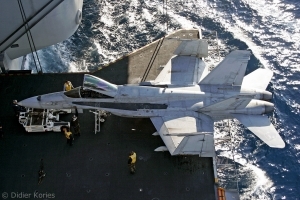 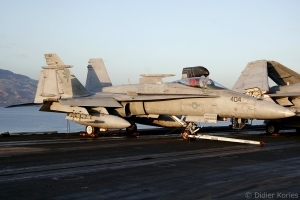 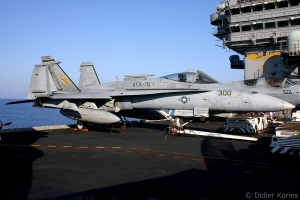 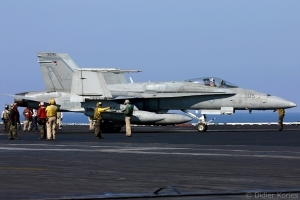 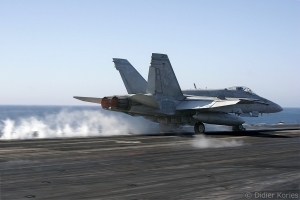 They started their conversion to the F/A-18F Super Hornet in April 2006. 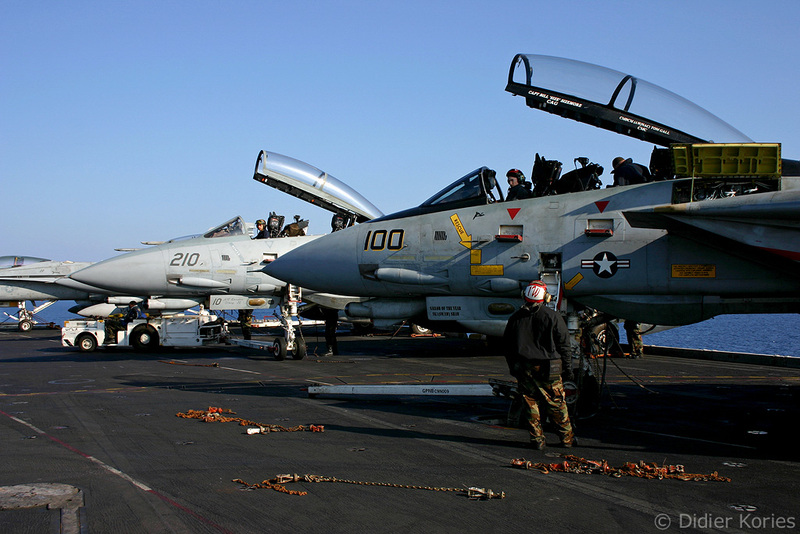 The flight deck is a very noisy environment, especially during take-offs and landings. Therefore the only way to communicate is by hand signals, via the intercom or with loudspeakers. 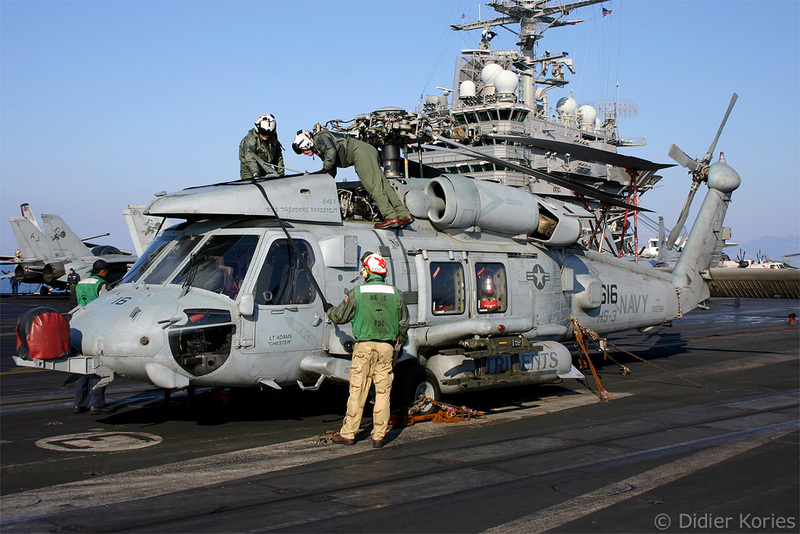 We are authorized to stand next to the LSO (Landing Safety Officer) platform to photograph the landings. Unfortunately there is enough space for five persons only. 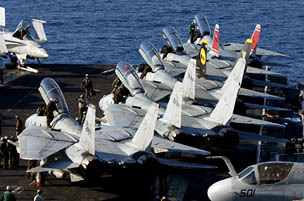 We have to wait for our turn. 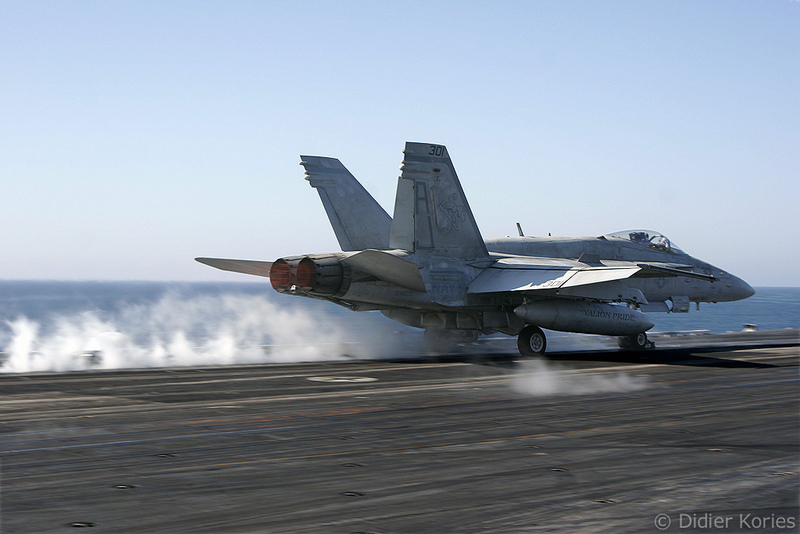 Landing is the most delicate phase of flight operations. About 1.000 metres (3.300 ft) from the ship, the pilot is guided by the LSO and the “Meatball” which sends light signals using Fresnel lenses. 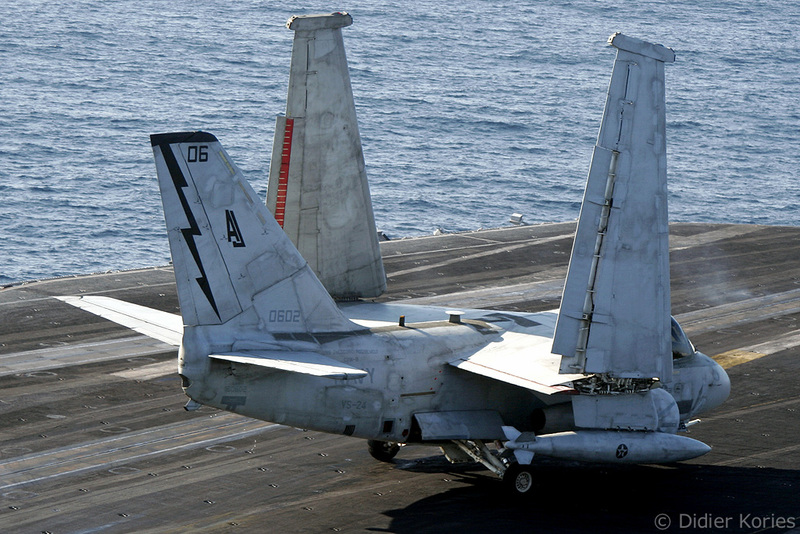 As soon as the plane touches down, the pilot puts the engines back into full power so that he can safely take-off again if the tail hook fails to catch one of the four cables stretched across the deck. 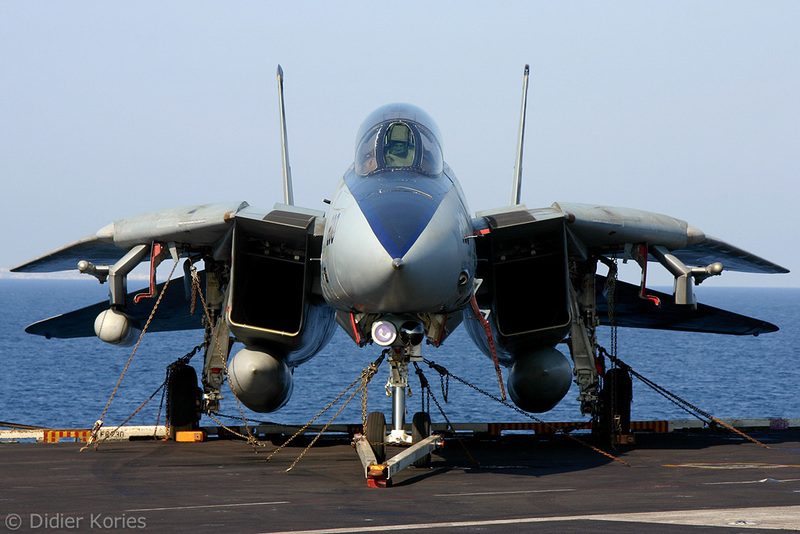 These cables are 3,5 cm (1,38 in) in diameter. I decide to photograph the last landings of the afternoon from the island. 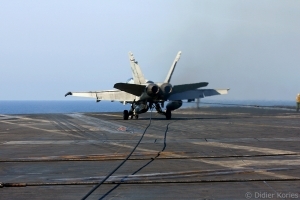 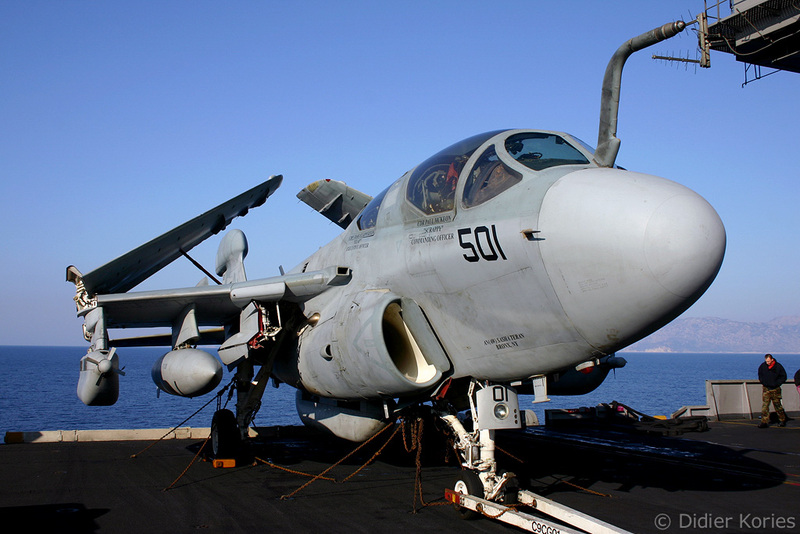 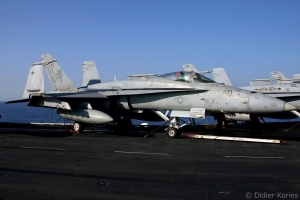 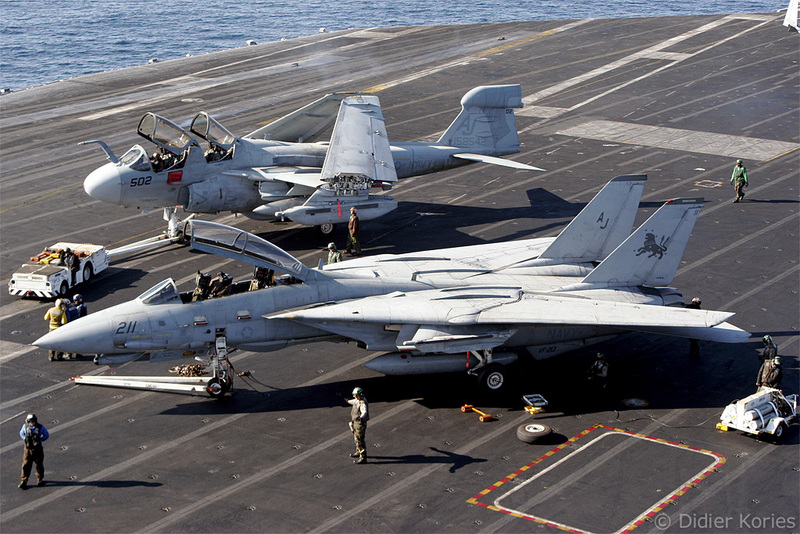 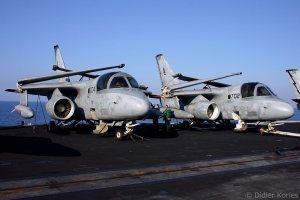 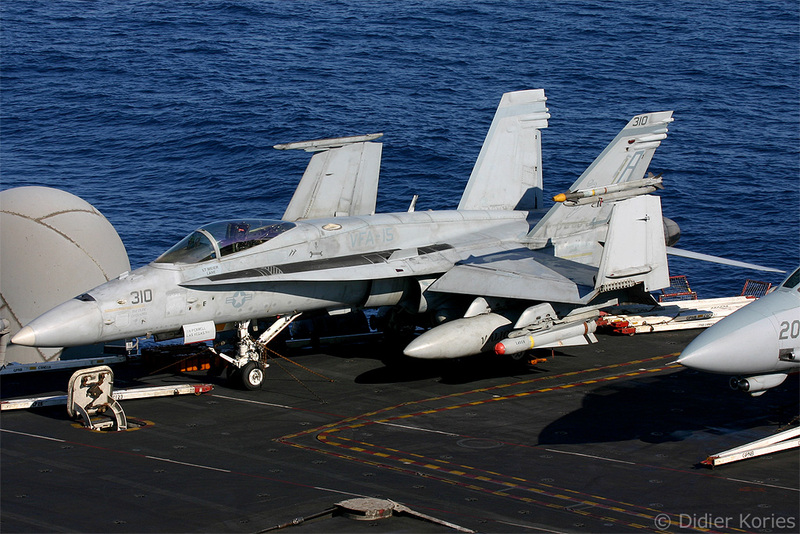 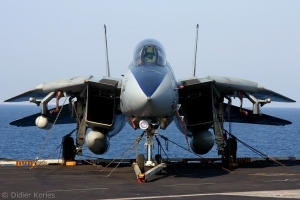 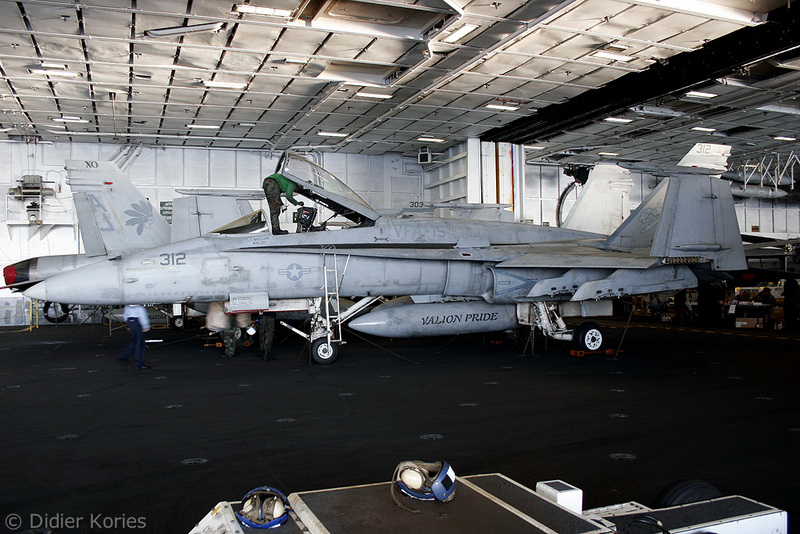 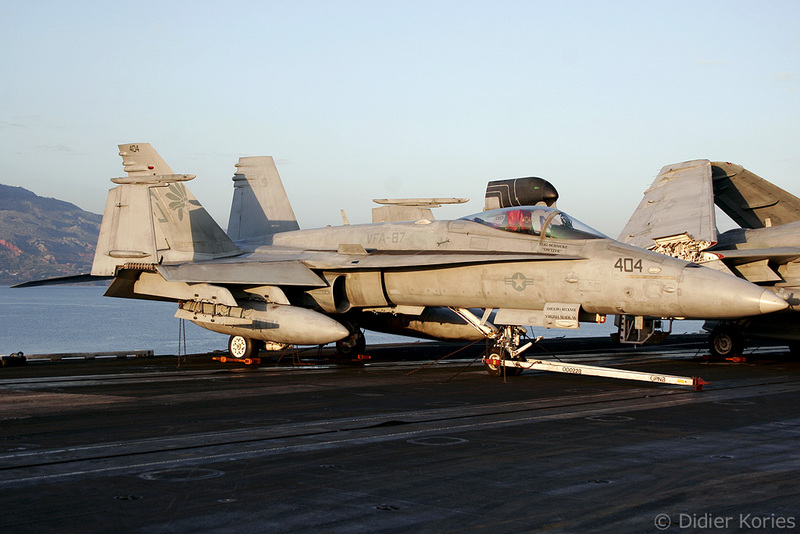 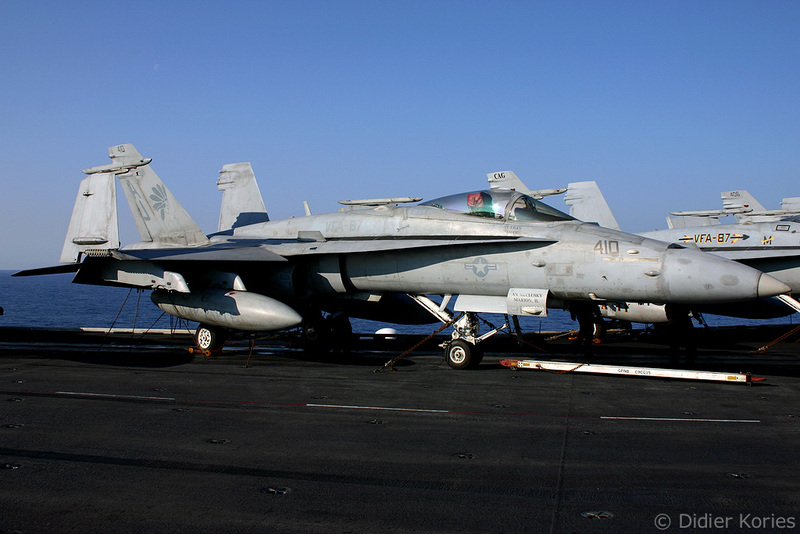 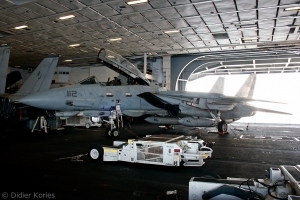 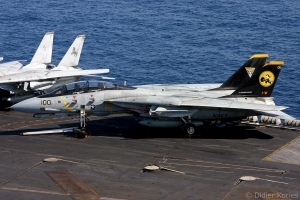 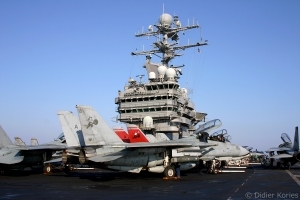 From the LSO platform, we have to go down, through the hangar situated below the flight deck where Tomcats, Hornets, Hawkeyes and Seahawks are stored and maintained. 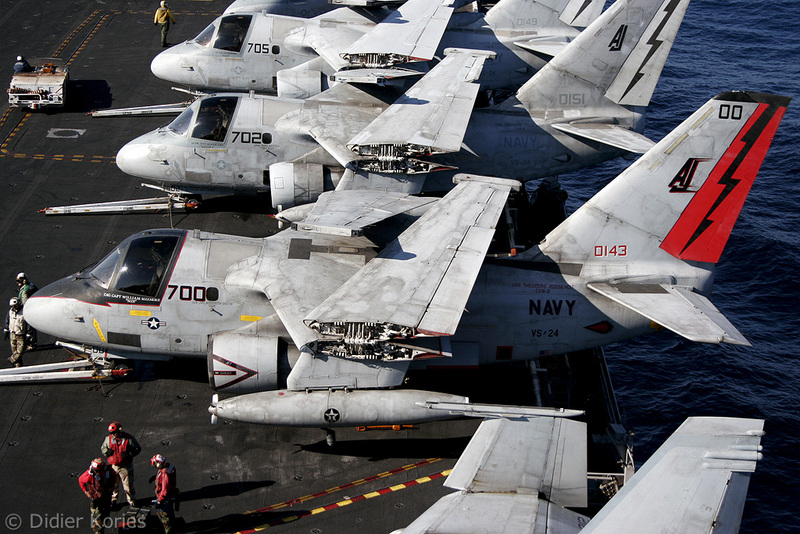 Every little bit of space is used. The crew also uses the hangar bay for recreational activities. 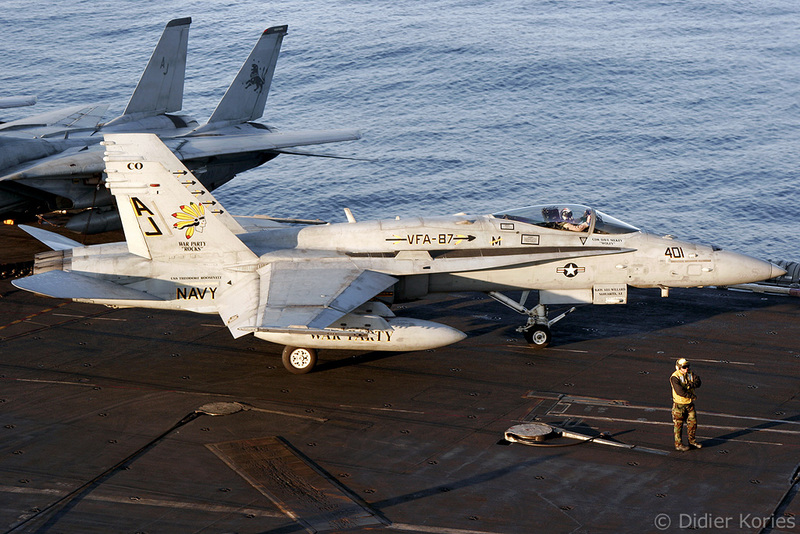 In the early evening, I witness the take-offs of F-14s and F/A-18s and their night landings thereafter. 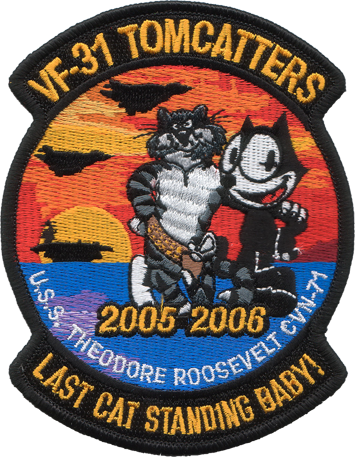 We finish the day by a visit to VF-31 and VF-213’s briefing room for the traditional badges and T-shirts sale. 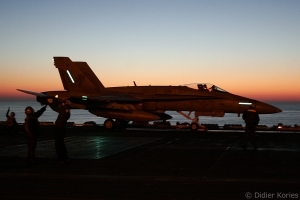 We are even proposed a movie night, complete with popcorns, tacos and sausages! 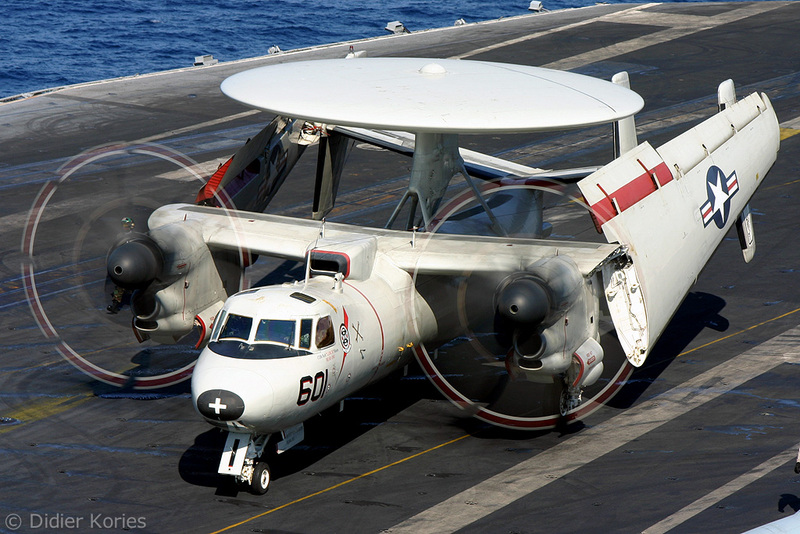 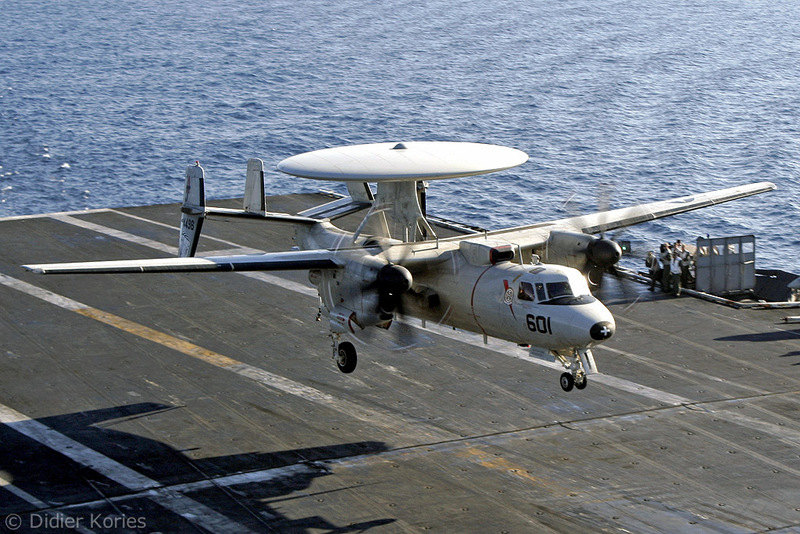 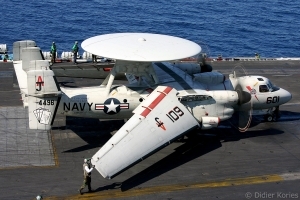 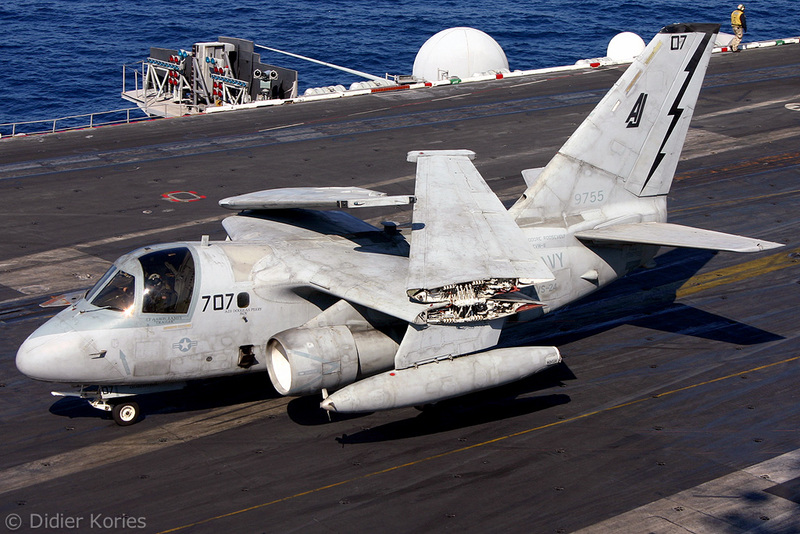 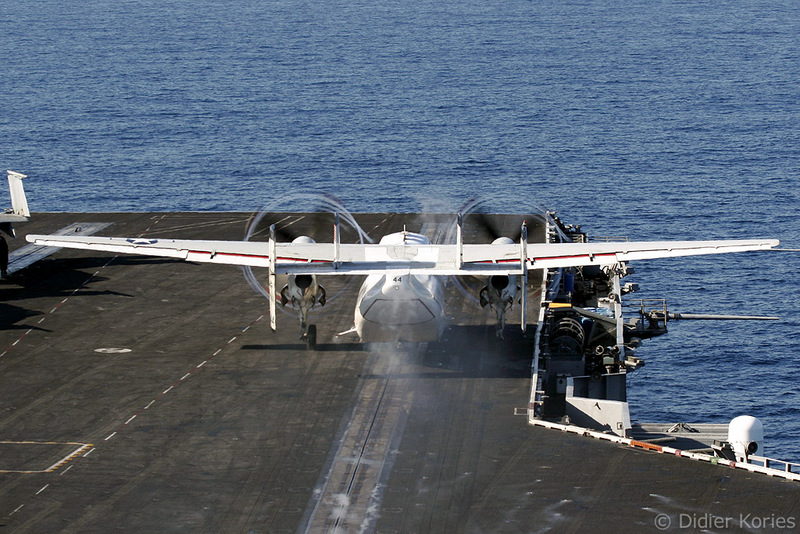 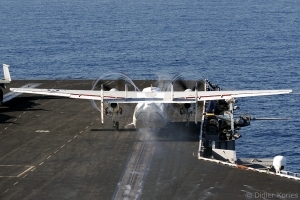 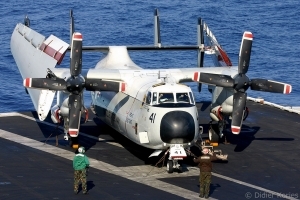 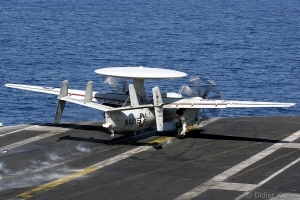 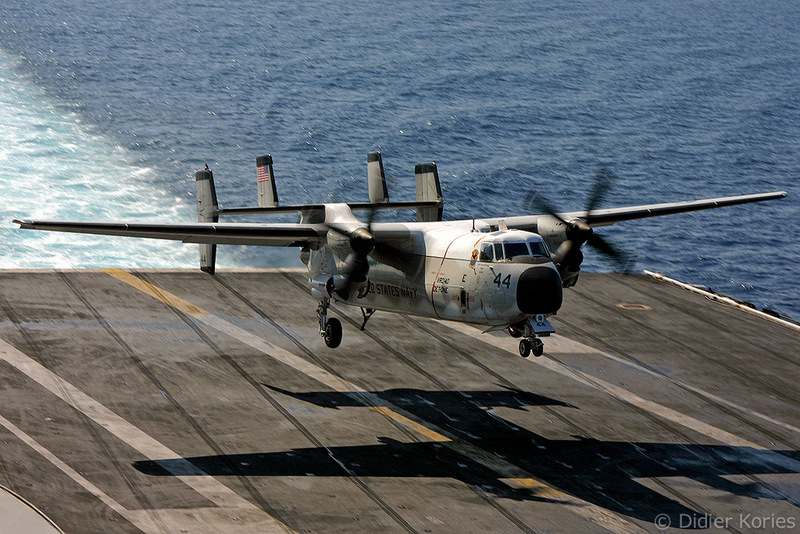 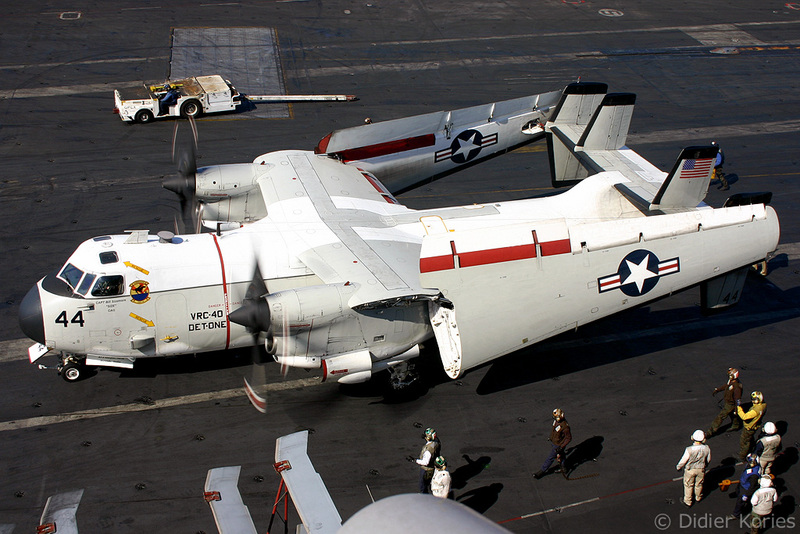 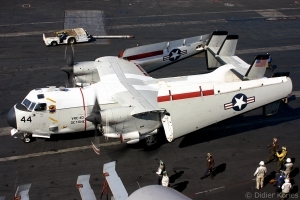 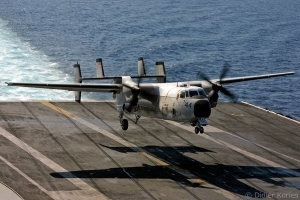 This cruise was also the last one for Sea Control Squadron Twenty-Four (VS-24) and its S-3B Vikings. Established on 1 January 1943 as Bombing Squadron Seventeen (VB-17), it flew off the deck of the USS Bunker Hill (CVS-17) and USS Hornet (CVS-12) during World War II. 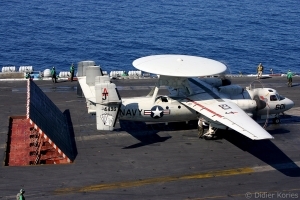 It changed designation several times before becoming Antisubmarine Squadron Twenty-Four (VS-24) on 8 April 1960, equipped with the S-2 Tracker. 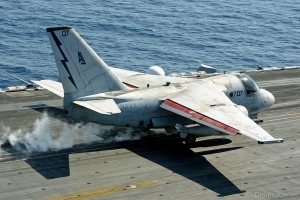 In August 1975, the squadron transitioned to the Turbofan-powered Lockheed S-3A Viking and adopted the B version in 1989. In 1993 its designation was changed to Sea Control Squadron Twenty-Four (VS-24). 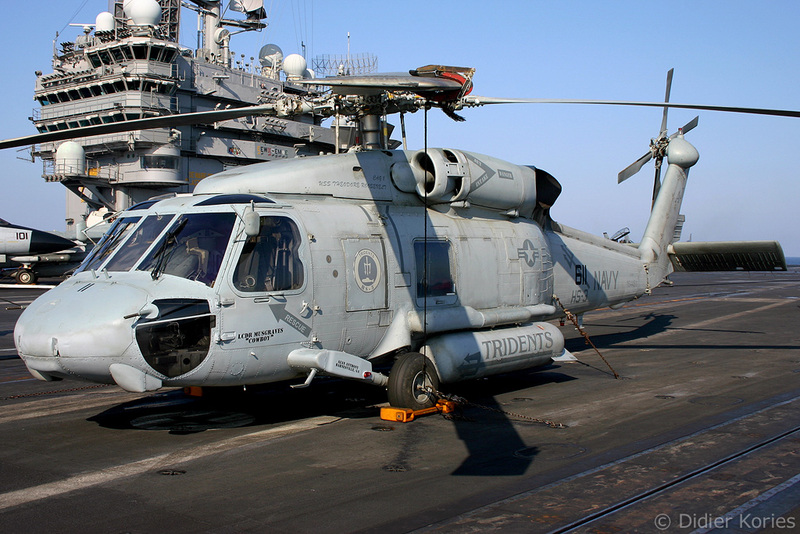 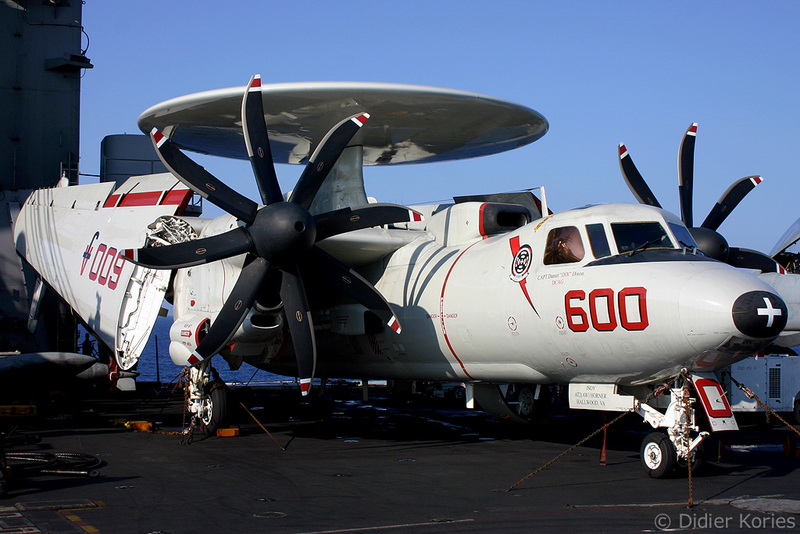 The unit is currently based at NAS Jacksonville, Florida and is scheduled to be decommissioned in 2007. 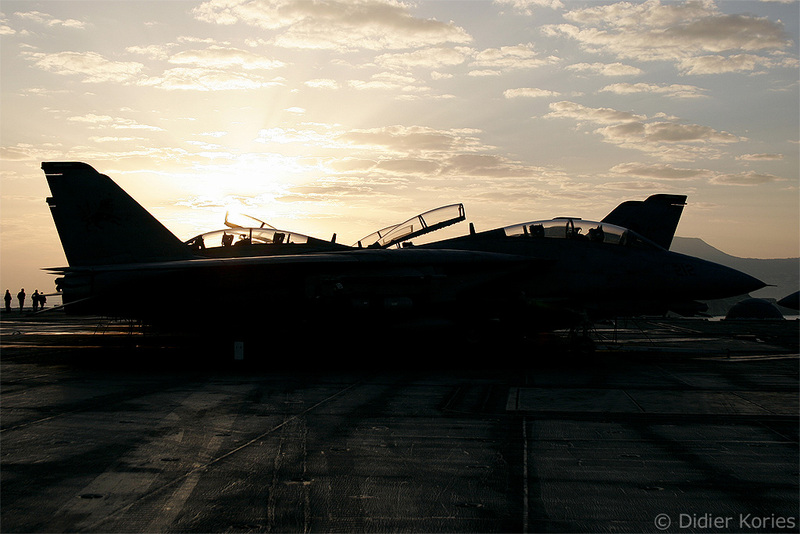 On the morning of Wednesday 22 February we have a last opportunity to take pictures on the flight deck soon after sunrise. 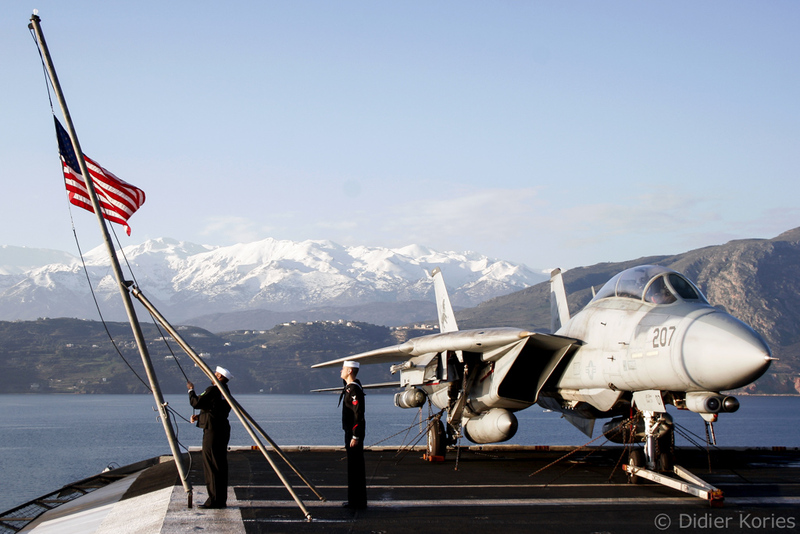 The USS Theodore Roosevelt is now berthed in the port of Souda Bay, in Crete. 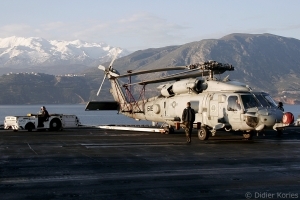 She will take to the sea again in a few hours and, after another stop in Corfu, she will cross the Atlantic, heading home. 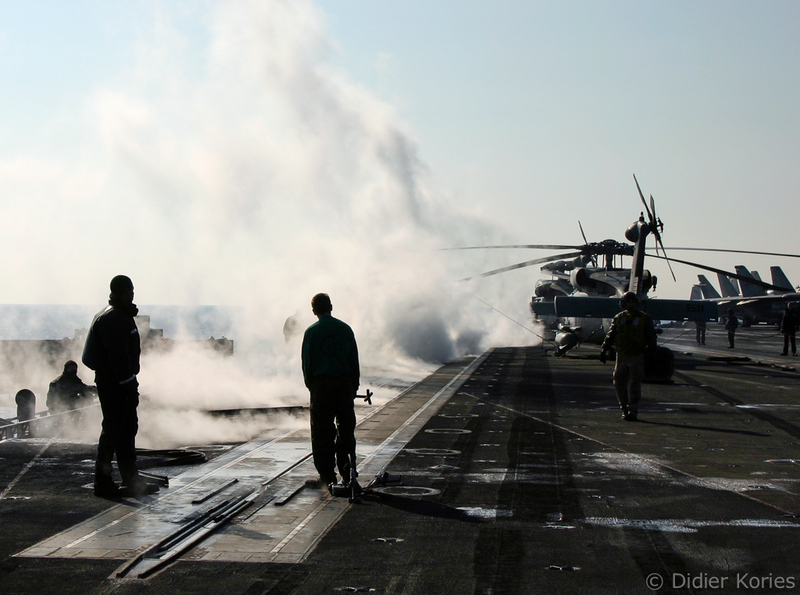 It is time for me to do the same as I disembark the ship. This visit on board the USS Theodore Roosevelt was a really fantastic experience. 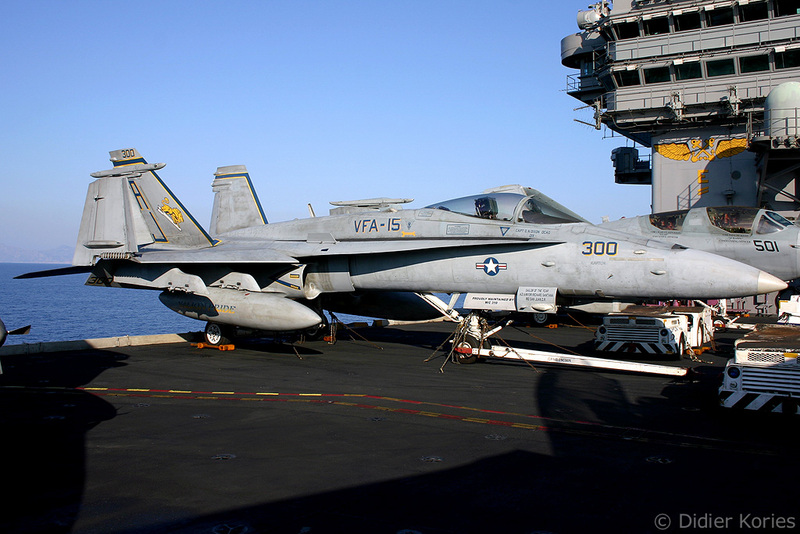 Being able to witness flight operations aboard an aircraft carrier is something I will remember forever. For this, I would like to thank Lieutenant Sevicello, PAO US VI Fleet, Lieutenant William Kuebler, PAO USS Theodore Roosevelt and especially, Lieutenant Justin Cole, Assistant PAO USS Theodore Roosevelt and his team for escorting and looking after me during my stay aboard the “Big Stick”.